A mere finger shred on the guitar chords does not make a great guitar. It has to come from precision craftsmanship and attention to detail. It is only then that the noise turns into music and profound melodies are created that resonate in the air, casting a soulful impact around. Judging by this precise criterion, Caparison Guitars has definitely aced this job. Founded in 1995 by the former Japanese division of Charvel/Jackson, the designers at Charvel created the CDS Series, CDS II Series, and Questar Series and the designers at Jackson created the Doug Aldrich Model, Soloist Special, Dinky AXE, and Falcon. In 2011, Caparison Guitars were purchased under the business name of Caparison Guitar Company, LTS which is owned by George and Gabriel Ösztreicher. Master Builder Itaru Kanno was retained as lead designer. and the instruments continue to manufactured together with Iida Corporation. With Itaru Kanno at the helm, the Horus and Dellinger models are quite popular. With the strict specifications of artists such as Michael Romeo of Symphony X endorsing Caparison, that should speak volumes. 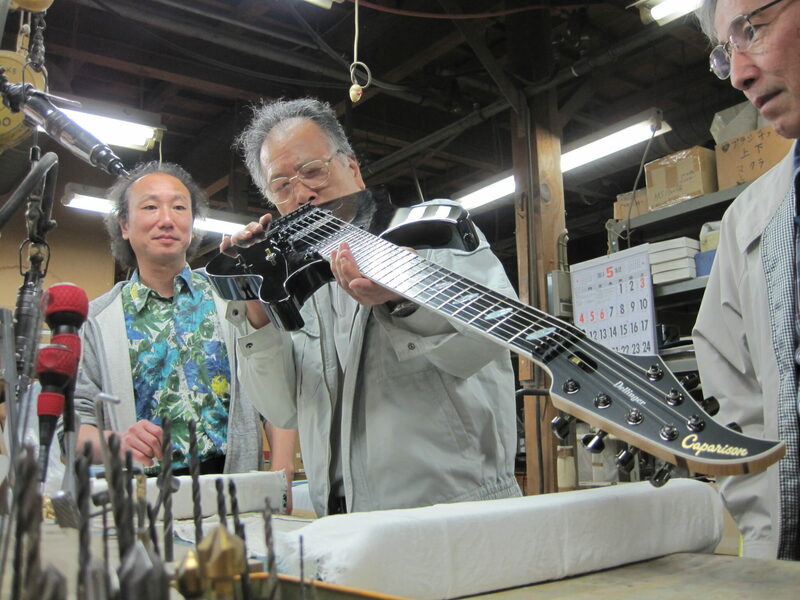 Each guitar is inspected and set up personally by Itaru Kanno. Caparison designs there own humbucking, single coil, and dual-rail humbucking pickups. Caparison embodies the finest in “design for the sake of tone”. Every shape and element of the guitar is meant to enhance the richness of the sound and performance. In addition, feel, reliability and stability are also at the heart of this Japanese line. Hand finishing, strict quality control, and precision setups from the factory are standard on these incredible instruments.